We all need a little excitement in our lives from time to time, and there can be few better ways to do so than with a short break at one of the country’s most popular hubs for live entertainment, nightlife, casinos, designer shopping and a fabulous boardwalk. Located on Long Island’s South Fork, the sprinkling of seaside communities collectively known as the Hamptons has long been a favorite summer residency destination for New York’s most affluent inhabitants. With such welcoming farmland scenery, stunning beaches and interesting historic architecture on offer, is there any wonder why? The time has finally arrived. After months of planning, at long last you’re about to embark on the trip of a lifetime, backpacking across Europe. You’ve had to organize the entire trip, save up money, develop a budget, build a schedule, find just the right backpack, work out what clothes and gear to take, sort out accommodation, apply for travel insurance, read up on city guides, get the best deals on airfare, compile a ‘must see’ list and acquire the correct smartphone contract. Consequently, now you’re going to be spending the following months roughing it from hostels to Airbnbs and couches, all while keeping spending to a minimum. The most important day of your life is fast approaching, and you have yet to find that perfect waterfront venue to host it. 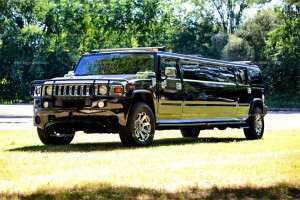 Taking into consideration the location, décor, and facilities of many establishments in the state, Bergen Limo has listed five of our favorite venues for a beach wedding in New Jersey. Time to face up to it, your best buddy’s life is about to change dramatically and he needs you to help him make the transition. If he were moving away then you could simply go around to his place for a few last drinks, perhaps engage in an inebriated manly hug at the end of the night, and leave after a fond farewell handshake. When he’s getting married though? It’s customary to throw him the biggest, most badass celebration on the planet in a party bus New York could offer, a night he’s going to remember (or perhaps not remember) as the most epic party he ever attended. Every newlywed couple should be hiring an NJ airport car service for their honeymoon. At first it may not seem obvious why, but once you consider the following, you’ll wonder how any once in a lifetime romantic vacation can be fully enjoyed without one. The day of turning 21 is possibly the most important birthday of all. As a young lady you’re taking the first step into adulthood, and so naturally want to throw the greatest party of all time to let the world know. While of course the party will be fun, the whole event requires the struggle of organizing it beforehand to ensure it goes well. 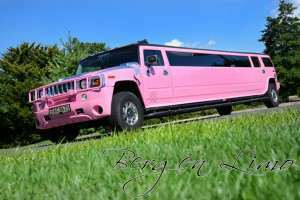 Once the cake, gifts, venue, and invitations have been arranged, renting a pink limousine for the evening is the single most important thing that a young lady needs to do for her 21st birthday. Your significant other has just agreed to marry you. You’re both delighted and overcome with joy. But then the realization of organizing it all hits you. Although it can be overwhelming, you needn’t panic. Below is a quick checklist of the ten top tasks you need to complete in order to get the wedding planning started.